BANGKOK (Reuters) - Thailand's king made an unexpected call for "security" and "happiness" on the eve of the first election since a 2014 army coup, but made no mention of a poll critics say has been engineered to keep the military in power. 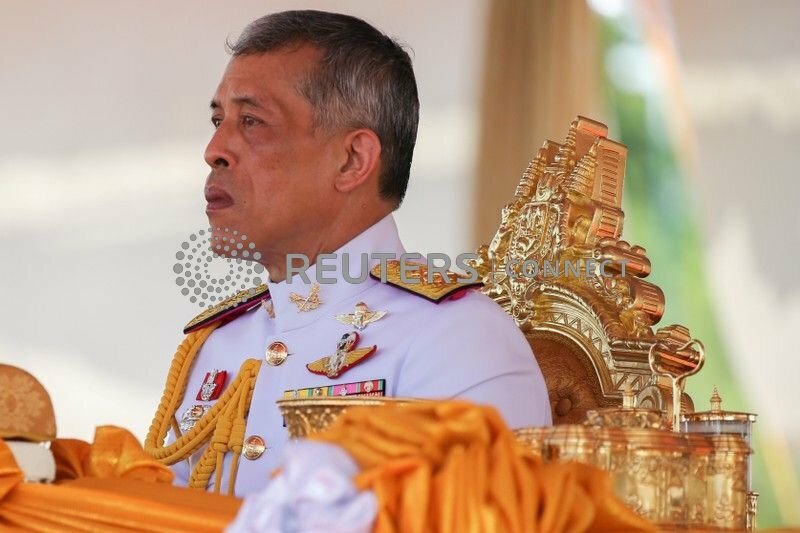 King Maha Vajiralongkorn did not refer to any of the sides in Sunday's election. However, his message less than 12 hours before voting booths were to open was a startling departure from the approach of his late father, who in his latter years kept a distance between the monarchy and politics. "The king is concerned about the country's security and the feelings and happiness of the people, so the king wants to send his moral support and a reminder for all to use it to bring about unity, security of the country and happiness of the people," said a palace statement late on Saturday. Thailand's vote comes after nearly five years of direct military rule and is viewed as a contest between junta leader Prayuth Chan-ocha - who wants to stay on as elected leader - and a "democratic front" of anti-junta parties. The most prominent party of the front is Pheu Thai, led by loyalists to exiled former premier Thaksin Shinawatra. commission and the party was later banned from the race for breaking a taboo on involving the monarchy in politics. The late King Bhumibol Adulyadej, who died in October 2016 after a seven-decade reign, stayed aloof from politics during the last decade of his life when Thailand was rocked by clashes between Bangkok-centred elites and more rural-based populists. The palace said the king recalled comments made in 1969 by his father about the need "to promote good people to govern the country and to prevent bad people from power and creating chaos". Earlier on Saturday, an international observer group said it would face limitations in judging the election, partly because it was granted accreditation too late to get all its monitors into Thailand. But permission to monitor the poll only came on March 14, so less than half that number will be on the ground. Rights groups had called on the military government to allow foreign observers to monitor the election, but only ANFREL was given permission. "As international observers, we have our own limitations. We can't challenge the law of the country," ANFREL Secretary-General Rohana Nishanta Hettiarachchie, who is also head of the Thai monitoring mission, told Reuters of the visa problems. "The legal framework itself is not supporting the free and fair elections." Asked to respond, a government spokesman and a foreign ministry spokeswoman referred Reuters to the election commission, which was not available for comment. More than 93,200 polling stations in 77 provinces will open at 8 a.m. (0100 GMT) on Sunday. At final campaign events on Friday, junta leader Prayuth crooned a ballad at a rally of the military proxy Palang Pracharat Party's in Bangkok to make his final pitch for staying on as prime minister. However, a parliamentary system created by a new military-backed constitution gives pro-junta parties a huge advantage over their rivals, even though Pheu Thai is expected to win the most votes. The new constitution allows parliament's upper house, the 250-seat Senate, to vote with the 500-seat lower house to choose the prime minister - and the Senate is entirely appointed by the junta. Pro-military parties would probably need only 126 seats in the lower House of Representatives to win a majority in a combined vote, while opposition parties would need 376 seats. A third faction, led by the anti-Thaksin Democrat Party, argues it can form a government that is neutral. Its leader Abhisit Vejjajiva told voters at a rally they did not have to choose between "dictatorship" and "corruption", referring respectively to Prayuth and Thaksin, who fled to avoid corruption charges in 2008. "Time's up for dictatorship. Time's up for corruption," said Abhisit, who could hold the key to power after what is expected to be an inconclusive poll that triggers intense horse-trading among parties to form a government.